The Northern European chill didn’t stop testers in the upcoming 4 Series Convertible from cruising with the folding hard-top down. Following snaps of the new BMW 4 Series coupe in the cold come these images of its convertible counterpart undergoing winter testing with the top down. Spring may be knocking on the door but parts of Europe are still coated in the white stuff, giving BMW engineers the chance to see how the 4 Series cabrio fares in winter climes with the folding hard-top down. 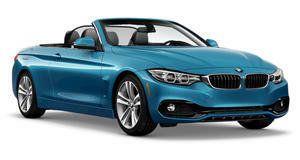 As previously reported, both the 4 Series coupe and convertible will borrow engines from the latest F30 3 Series. Expect to find the German carmaker’s latest four- and six-cylinder units, including a new 240hp 2.0-liter four and 3.0-liter turbocharged six, under the hood. BMW is also expected to start producing M versions of the new 4 Series models about a year after the base cars debut, with the Frankfurt Motor Show in September the most likely destination for their maiden public reveal.